Not every company has the budget or capacity to hire somebody with IT expertise, but that doesn’t mean you can do without IT support entirely. With $100,000 lost on average every hour during an IT outage, you can’t afford to be without the support of IT professionals. So why do companies outsource their IT? Isn’t it safer and cheaper to hire internally? That’s what we’re here to answer. Here are 3 of the main reasons why businesses and organizations like yours decide to outsource their IT. No business is looking to spend more than is necessary on their costs for staying in business. Employing tech support for small business operations can be prohibitively expensive. Tax, training, health insurance, and retirement contributions can all add up. One of the best reasons for outsourcing is doing away with these costs. 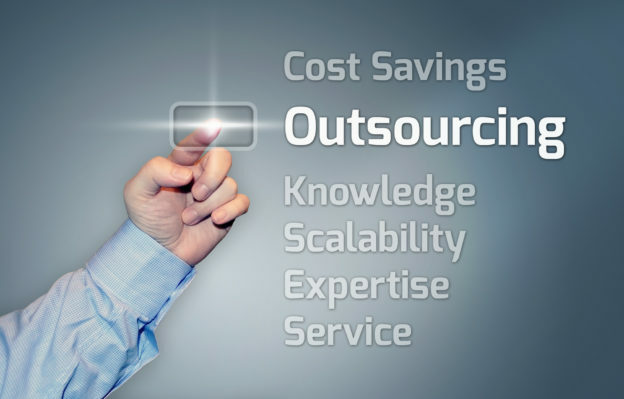 Outsourcing means you reduce your costs while still having access to the IT support that you need. IT consultancies also offer IT regulatory compliance solutions to reduce the risk of potential fines for non-compliance. Given the risk of multi-million fines, you shouldn’t underestimate the cost of compliance. Here are 5 of the biggest IT compliance issues facing businesses and organizations. Imagine you had a sudden network failure in your office right now, and you don’t have IT support to hand. What would you do? We’ve already mentioned the cost that even an hour of downtime can have on a business. You, or one of your colleagues, might feel it’s your responsibility to try and get things running again. Why not, we hear you ask? The main reason is productivity. Unless you’re being paid for your IT support role, your attention is being taken away from your job role every time you’re forced to deal with a support issue. Outsourcing deals with that. Instead of losing hours of your day job fixing broken PCs, you can call out somebody to deal with the problem for you, meaning you can get your job done faster. The world is tech-centric, so most modern professionals already have quite strong IT skills. It doesn’t make them professional IT support engineers, however. Industry qualifications like the ones offered by Cisco take several years to study and work towards, and the cost can reach thousands of dollars. This is the level of experience that’s required to be able to deal with the most complex IT support issues that can occur. IT support workers also need to keep working towards continuing their professional development with updated qualifications or regular renewals. Rather than taking on the cost of hiring and training, IT consulting companies will have staff on hand with the level of experience and qualifications to help resolve any IT issue you might end up having. Outsourcing comes at a cost, so why do companies outsource their IT support? The greater cost is having no IT support at all. IT consulting companies can be cheaper per-hour to hire than having full-time support in-house. You get the benefit of experience, as well as the comfort of knowing that if disaster strikes, you can call in the professionals to fix the problem. If that sounds perfect for your business, get in touch to discuss your support needs and arrange a consultation.